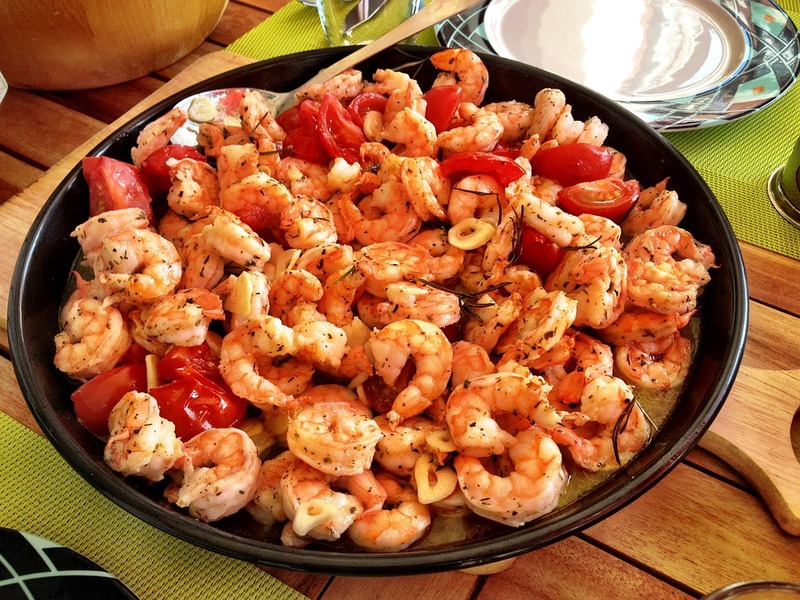 Nice change to your shrimp dish. The pesto give the shrimp a nice Italian flavor. Add the chopped garlic and cook for a long minute, when that aromatics' start popping out add the shrimp. Cook for about a minute again add the tomatoes and 1/4 cup water. Steam until the shrimp are nice and pink and the skins of the tomatoes wrinkle a little. Add the shrimp and tomatoes mixture to the pesto (warmed) toss and serve.